The Independence Day is just about here, with all the sparkle and flavor that it brings. We can’t wait to watch the fireworks and tuck into some pie and barbecue! If you haven’t yet made your 4th of July plans, worry not – here are some ideas. 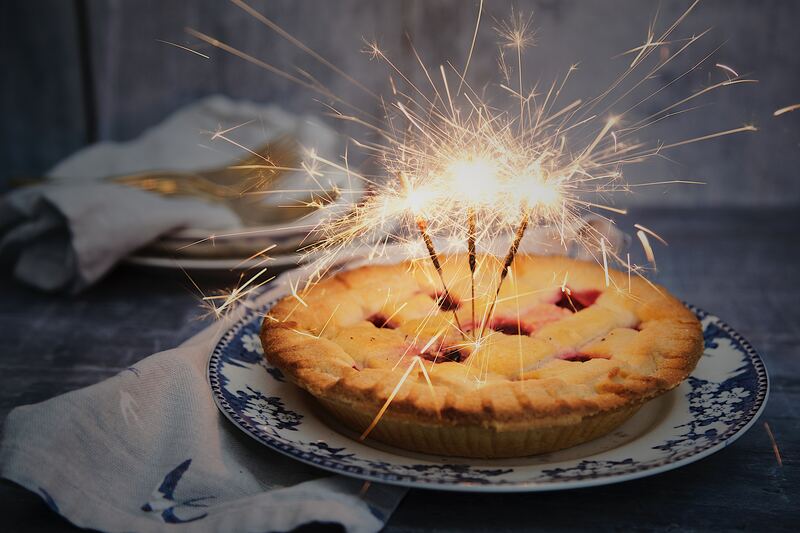 First things first: no matter if you are spending the day at the beach or around the grill, you need to get yourself a pie. So many great spots around town, but we are rather partial to Gjusta with its amazing peach pie, and are great fans of Knowrealitypie in Eagle Rock with its mouthwatering boysenberry and Cognac coconut cream creations. If you need a pie fast – the Pie Hole never disappoints. Go for the Earl Grey variety – it’s our recent favorite. No Independence Day is complete without a proper fireworks show lighting up the sky. There is no shortage of places to go and catch one – here are some suggestions on where to enjoy the annual extravaganza! If you are staying on the Eastside, AmericaFest at the Rose Bowl is a brilliant celebration of all things white, red and blue. The all-day festival is a local classic, with lots of rides, games and crafts to keep everyone amused for hours. The light show starts at 9P, and is usually visible from all around the Arroyo and Pasadena areas – Colorado Bridge being one of the favorite locations to take in the fireworks spectacular. Watching the fireworks reflected in the water is a special delight. 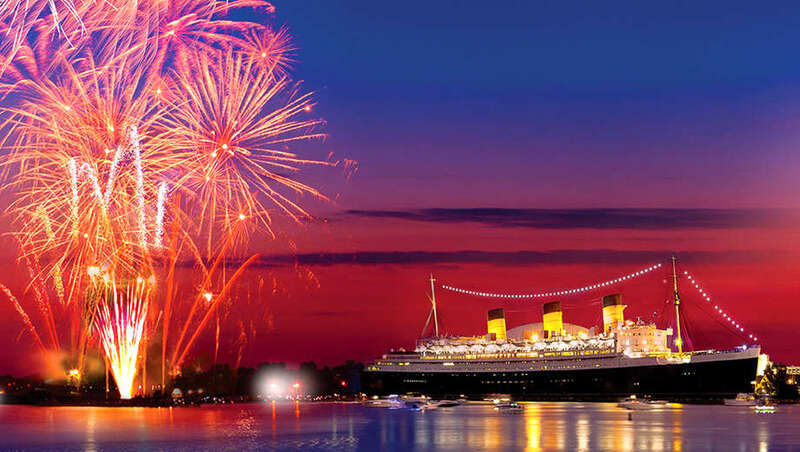 Head to Long Beach to see some colorful explostions above the horizon – you don’t need to be aboard the Queen Mary to see the show, it’s visible from just about anywhere along the waterfront. Locals enjoy observing the works from the nearby Shoreline Park, Los Alamitos Beach, or the Belmont Pier. The Dodger Stadium always puts on a delightful show – a special perk if you are planning to attend the game of Pittsburg Pirates this Wednesday evening. Parking can be tricky, so get on the free (with your game ticket) Dodger Stadium Express at Union Station. Or, if watching baseball is not quite your cup of tea, climb the hill and check out the fireworks from Chavez Ravine or nearby Chinatown. In the mood for something different? Take advantage of the national day off and visit a museum. 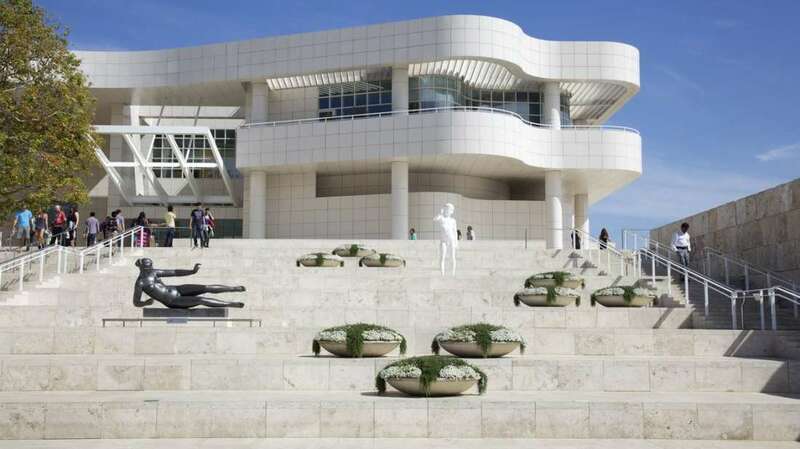 Although the majority of Los Angeles museums are closed on July 4, the gorgeous Getty Center will stay open from 10 am to 5:30 pm. The Norton Simon Museum will keep open hours from 12 pm to 5 pm, and contemporary art at The Broad will be on view from 11 am to 5 pm. 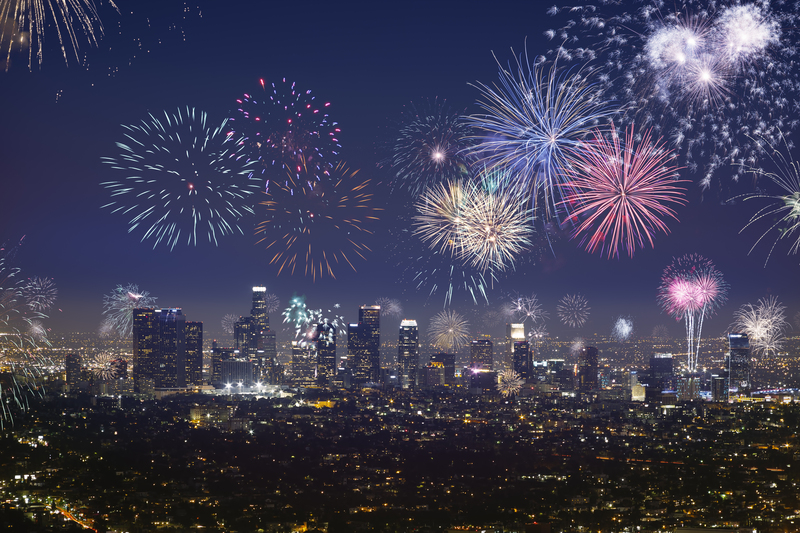 Alternately, pack a picnic and head to East Hollywood to watch fireworks in Barnsdall Park. Set atop a hill, this beautiful park – home to Frank Lloyd Wright’s Hollyhock House – offers great views of multiple fireworks displays. Wishing everyone a fun, sun-filled and safe 4th of July! If you spent any time in Northeast LA lately – and there are lots of reasons to visit, whether for a breakfast at Kitchen Mouse in Highland Park, or a hearty lunch at Patio Burger in Habitat in Eagle Rock – you’ve no doubt seen the colorful signs proclaiming that “Lummis Day” is fast approaching. An annual neighborhood event, Lummis Day Festival celebrates the arts, history and ethnic diversity of Northeast Los Angeles with educational and cultural programming that brings the community together. We are pretty excited about the festival, and seeing the banners got us thinking about all the fascinating local history. We dug a little deeper and found that the event is named after Charles Lummis – read on to find out more about this writer, builder, mythmaker and an all around fascinating personality active in NELA a century ago. A studio photograph of Lummis taken by an unidentified photographer around 1890. Courtesy of the Southwest Museum, Los Angeles (N42477). Charles Fletcher Lummis was born in Lynn, Mass., in 1859. In 1884, Charles Fletcher Lummis, a Harvard dropout (he was a classmate of President Theodore Roosevelt), set out to walk from Cincinnati to Los Angeles. He was offered a job as a reporter at a new paper out West, the Los Angeles Times, and thought it would be fun to write about his “tramp across the continent” in a series of dispatches to newspapers. Lummis had no shortage of adventures on his 143 days hike, developing a deep affinity for the natural beauty and cultural diversity of the Southwest along the way. 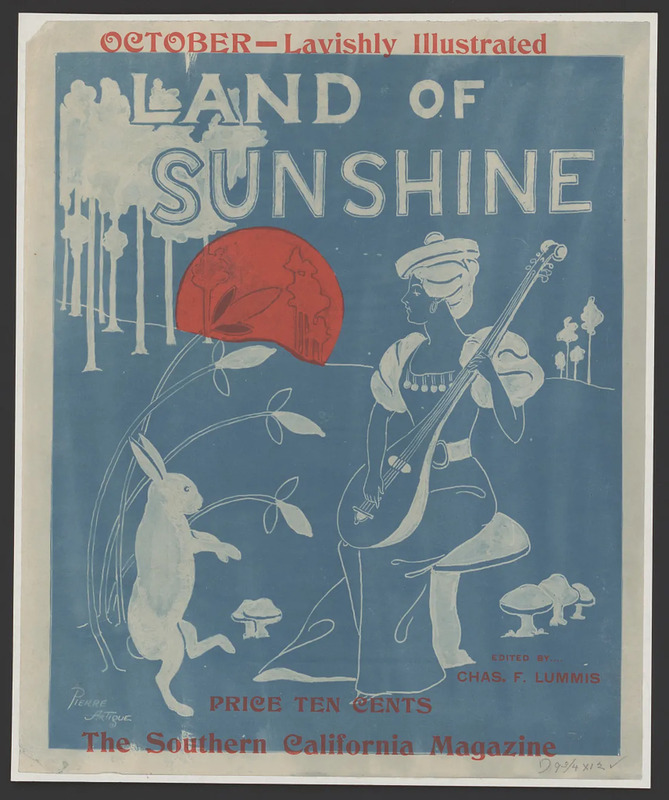 After several years at Los Angeles Times, Lummis became the editor of Land of Sunshine magazine, a periodical that played a big part in popularizing the idea of California living. In the magazine, Charles went on to publish work by famous authors – the likes of John Muir and Jack London – that extolled the virtues of California, celebrating its natural beauty and spirit of adventure. Photograph of Charles F. Lummis at his desk, El Alisal, Los Angeles, California, early 1900s, cyanotype, 4 1/4 in x 6 1/4 in. | Image: Unidentified photographer; courtesy of the Braun Research Library Collection, Autry Museum of the American West. Charles Lummis was a passionate activist for civil rights for minority groups. He was particularly active in pushing back against the mistreatment of American Indians, with whom he lived for several years in the Pueblo Indian village of Isleta on the Rio Grande River. In 1902, Lummis formed an Indian rights group called the “Sequoya League,” after the noted early 19th-century Cherokee leader who developed a written alphabet for their language. The organization was dedicated to protecting Indian rights, opposing the unjust policies of the federal Bureau of Indian Affairs. Lummis used his personal relationship with President Theodore Roosevelt to force the Bureau to change some of its ways – he helped reverse policy that led some U.S. government agents to forcibly cut the hair of Indian men. Eventually, Lummis’ activism became too much for the regressive mores of his time, and he was was barred from the White House. Photograph of El Alisal under construction, circa 1900, gelatin silver print, 6 1/2 in x 8 1/2 in. Handwritten caption on verso: “SOUTHEAST CORNER, ALL TO HAVE TILE ROOF.” | Image: Charles F. Lummis; courtesy of the Braun Research Library Collection, Autry Museum of the American West. 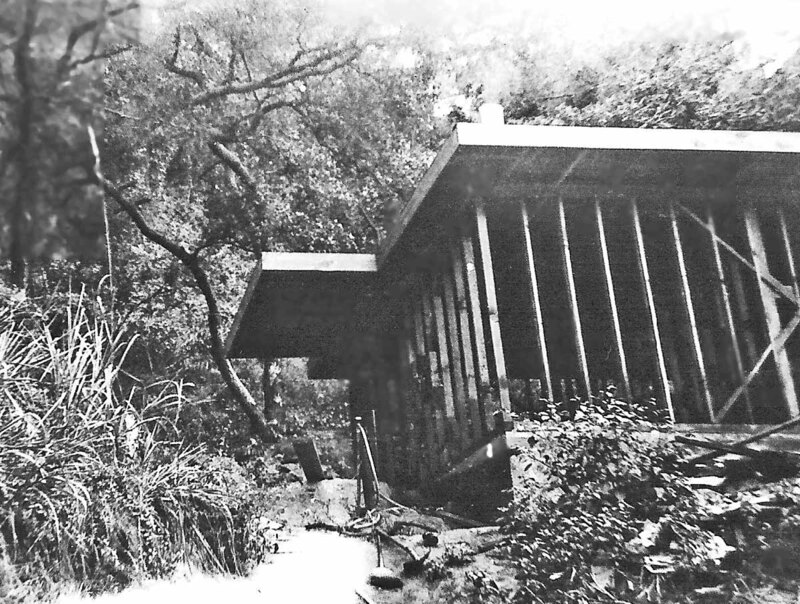 During his time as an editor of Land of Sunshine, Lummis built a home “to last 1,000 years” in the Arroyo Seco portion of Los Angeles, a handmade castle of stone he named El Alisal. 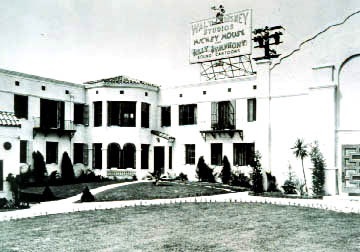 The residence became a center of the burgeoning artistic and bohemian community in early Los Angeles, where Lummis entertained countless famous visitors, calling his lavish parties “noises”. Following his departure from Land of Sunshine, Lummis took the position of the first head librarian of the Los Angeles Public Library, and served on the committee to open the Southwestern Museum, in operation to this day. Today, the El Alisal castle and grounds are a lovely, secluded public park – a number of events during the upcoming Lummis Day festival will take place there, so if you haven’t made a visit, this weekend would be a great time. Head over to lummisday.com for the full schedule of the events – hope to see you there! Tracy Do in LA business Journal – and the much awaited opening of The E.R.B. What a brilliant week it has been, filled with new projects (one of them is about to open this weekend – keep reading to get the details!) and some truly great news. We are so proud to announce that Tracy Do is ranked in the top 25 realtors in all of Los Angeles County by the LA Business Journal. All of us at Tracy Do Team are deeply grateful to our amazing and loyal clients who made this possible, and who continue making our job so rewarding every single day. We are so happy to be making a difference in people’s lives – and are totally committed to sparing no effort in helping our clients achieve all their real estate dreams and desires. This past week also saw us in Curbed.com – the national edition this time – as Tracy Do was asked to contribute her expert realtor opinion on the subject of home prices in Los Angeles for a piece by Patrick Sisson, “Homebuying today: Fewer homes, higher prices, and faster deals”. Read the story here. And finally, we finish the week on a most festive note – we are very excited to welcome everyone at The E.R.B. homes as we host our Grand Opening! Join us this Saturday and Sunday May 19th and 20th from 2 to 6 p.m. After a successful run of pre-opening sales, the innovative new development is greeting the public with three very stylish model homes and a festive opening weekend. Food will be served and there will be a rooftop concert by a local jazz trio on Saturday beginning at 3 p.m. The E.R.B. is unique in that it offers single-family and mixed-use residences, providing owners with the opportunity to live and work with zero commute. Four distinct floor plans provide 3 bedrooms, 2.5 bathrooms and up to 2,500 square feet of living space. 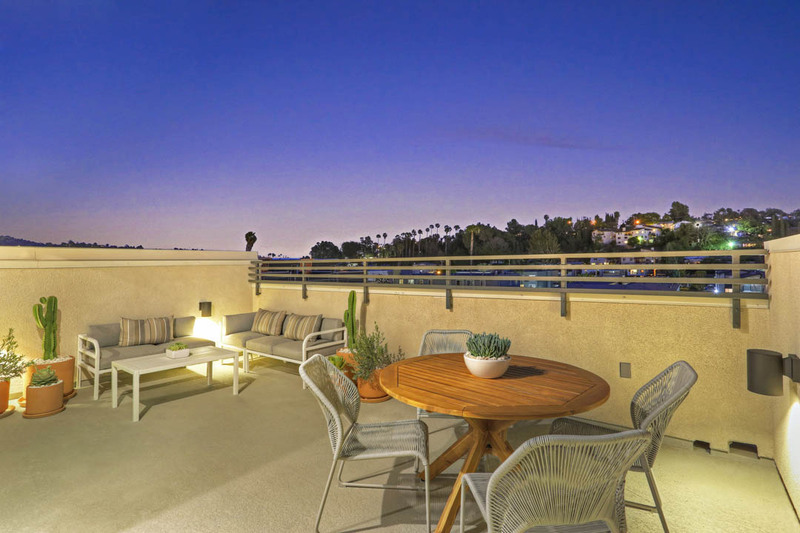 Each has a private two-car garage and rooftop deck, offering the perfect spot to entertain friends against an Instagram-ready backdrop of sunsets, city lights and the San Gabriel Mountains. Prices start at $826,900. The E.R.B. is located at 4326 Eagle Rock Blvd., Los Angeles, 90041. Grand Opening May 19th & 20th. For more information head to www.theerb.com or call 323-716-5505. Also known as Noguchi Garden, California Scenario is an immersive work of land art, situated on 1.6 acres and accessible to public. At first glance, it seems an otherworldly landscape, yet a closer look reveals the intention of its design – the sculptural forms refer to geographical characteristics in California, incorporating indigenous plants and materials, and inviting us to consider the human effect on environment and ecology. California Scenario was commissioned by Henry Segerstrom, an heir to a fortune built on agriculture and an avid patron of the arts. Segerstrom, a friend of Isamu Noguchi, approached him with the idea for the work in 1980. Noguchi, an eminent and widely regarded sculptor late in his career, had also loved designing stage sets for his contemporaries, modern dancers and choreographers, such as Martha Graham and Merce Cunningham – and California Scenario became just the platform where he was able to fully realize the sculptural and performative potential of his practice. A visit to California Scenario is an unforgettable experience, a perfect day trip with friends and family. Find out more about it here, and head over to KCET for an in-depth analysis of the work. We had a delicious time at the annual Taste of the Eastside – featuring established hotspots as well as trendy newbies, and a crowd of committed foodies that descended upon the event to celebrate and take pride in their neighborhood eateries of Silver Lake, Echo Park, Eagle Rock, Highland Park, Los Feliz, Atwater, and beyond. We got funky, got our run on and got to support bringing music into the world. The Silverlake Conservatory of Music is a 501c3 providing music education to people of all ages! The 3rd annual 5K Funk Run supported the mission and programs at this wonderful institution. 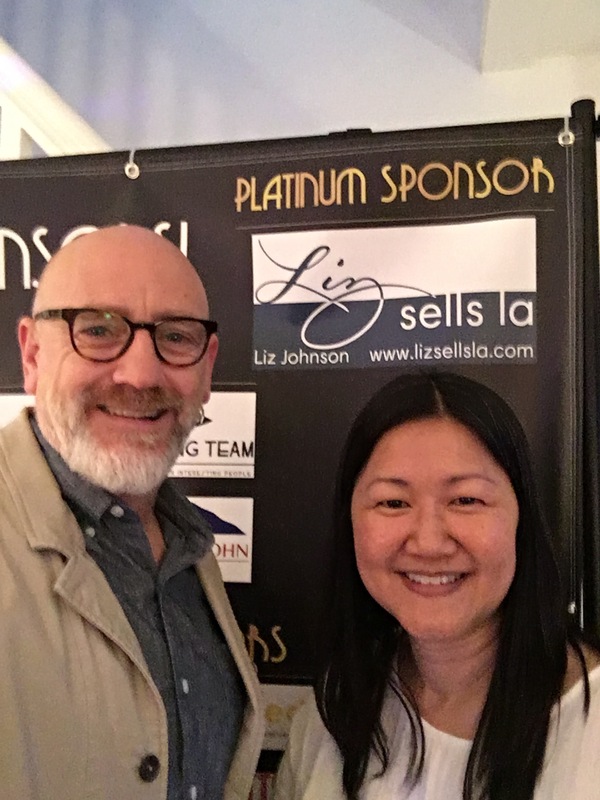 We had a brilliant time at the 13th Annual Auction that benefits the Mt. Washington Elementary School After-School Programs – Chess Club, Robotics, and Coding, among others; provides new equipment to support the curriculum, and goes towards various other initiatives at this amazing award-winning Elementary School. Interested in living in Mt. Washington? 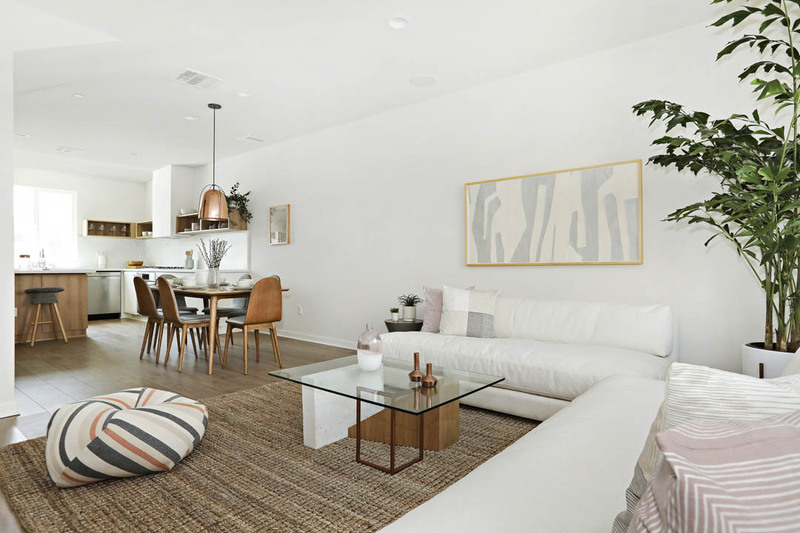 Check out our latest listing in this beautiful neighborhood, 4653 San Andreas St and contact us with any real estate buying or selling questions – we are just an email or a phone call away. One of our favorite things about working in real estate is that we get to learn about the stories of the homes we sell. Each of these stories provide a glimpse into the way that the neighborhoods we love – Echo Park, Silver Lake, Highland Park, Mt. Washington, and others – developed, weaving together into the vibrant urban tapestry that is the Los Angeles we know today. Our current listing in Echo Park, located on 1964 Landa Street, comes with a history that inspires. What’s more – its history is well-documented, which is quite rare. 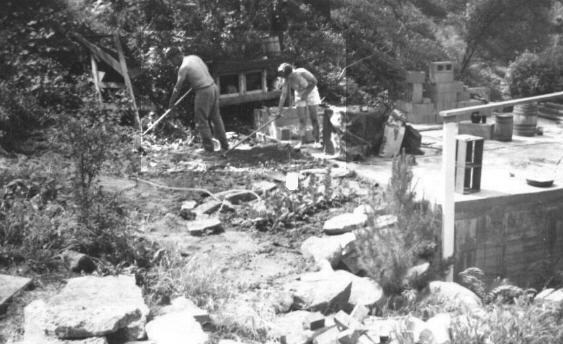 1964 Landa Street was built from the ground up by a determined young couple that met right after World War II. Robert Johnson, who just came back from “a miserable year and a half in the Pacific War”, met Ruth Van Leersum when both were enrolled in Calculus class at Compton Jr. College in 1946. They soon got married, and, as both came from families that worked in carpentry and construction, they decided to follow tradition and build a home with their own 4 hands. One sunny day in June 1947, Bob passed a FOR SALE sign at the corner where Landa Street meets Fellowship Drive, and was immediately taken by the site’s lush beauty. He envisioned a life in the “surrounding grove of live oaks and black walnut trees, virgin ground covered by matted ivy, brambles and ancient clusters of poison oak,“ and jumped on the opportunity to purchase the plot. The couple set off to construct their new house, ferrying materials up to Landa Street on an improvised rack atop of their car, “a board at a time”. During the initial period of home-construction, on weekends, Bob and Ruth camped in a tent on the building site. The home finally took shape and they were able to move in 1947, a memorable year that was marked by an unexpected snowfall. The work continued for the next next 5 years, during which Bob and Ruth went on to have 3 children. In 1962, the couple separated. 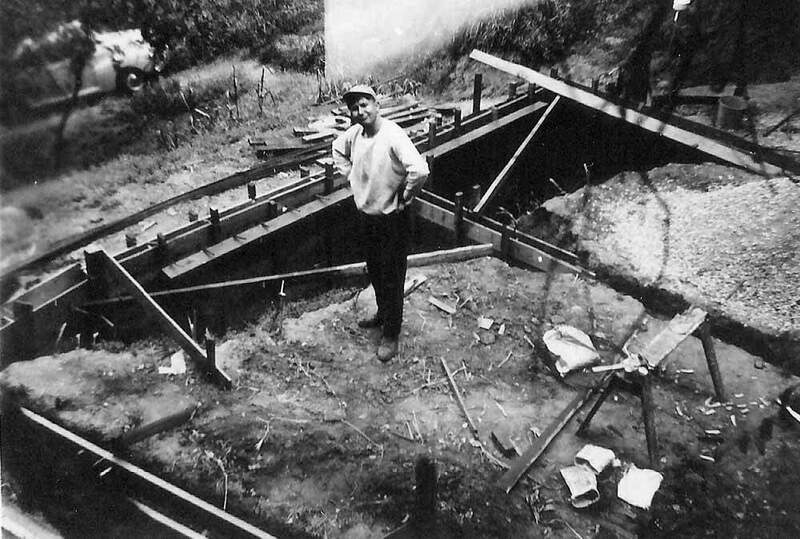 Ruth moved out, but for Bob, the home became a life-long project, one that he poured his heart and soul into as both an engineer and an artist. Realizing that he needed to build retaining walls, Johnson turned what could have been an ordinary concrete wall into a stunning passion project, adorning it over the years with a collection of stones, shells, petrified wood, fossils, lava rocks, polished glass, and bits of pottery. 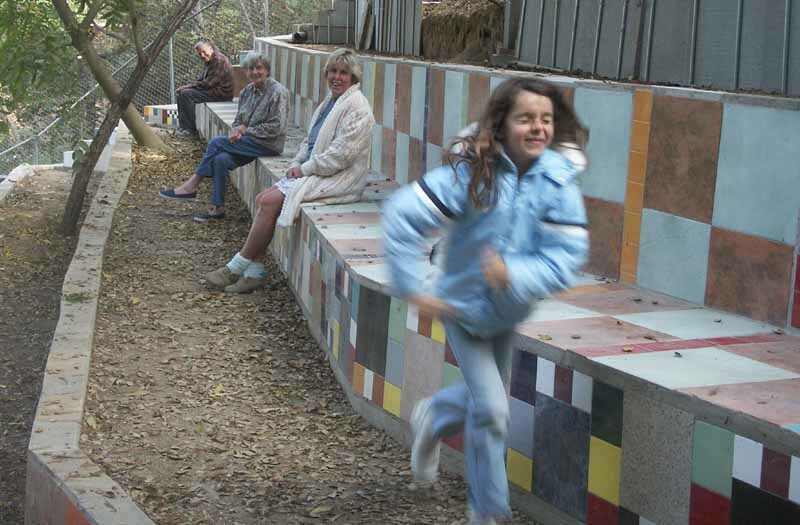 Bob continued his work on the property for decades, completing the last piece, the 70’ long tiled bench, in 2006. 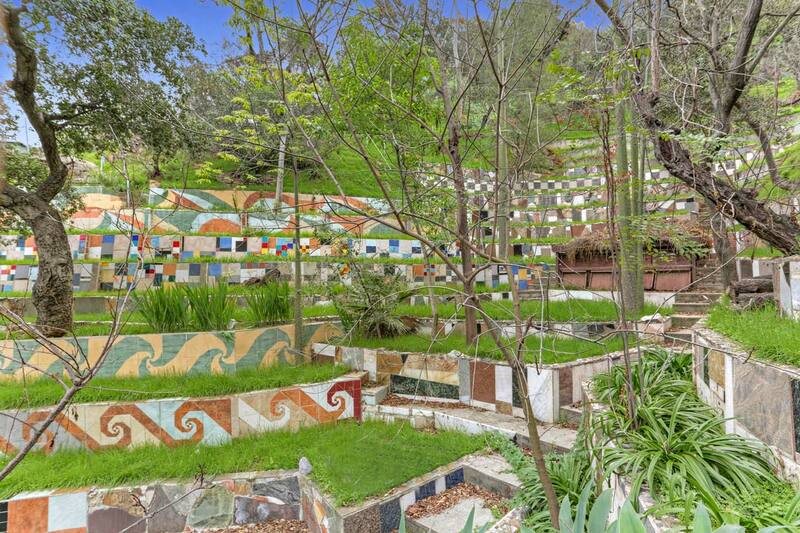 Today, the terraced steps dazzle with intricate patterns and bright colors; the magnitude of the built landscape is staggering, and brings to mind artistic landmarks like Watts Towers and Park Guell in Barcelona. We are beyond excited to represent this unique and storied residence. Come visit us this Sunday to soak in the history and admire the views – a stunning panorama across the Santa Monica Mountains and Hollywood Sign, transcendent its beauty. This intricate crime show, adapted from Michael Connely books, harkens to film noir classics with its striking landscape-focused cinematography, and its title character – detective Harry Bosch is Bogartian in both his looks and acting style. The gripping narrative traverses the city, moving swiftly from Downtown LA to Echo Park and Silver Lake, gliding through Hollywood Hills, and dipping into the San Fernando Valley along the way. 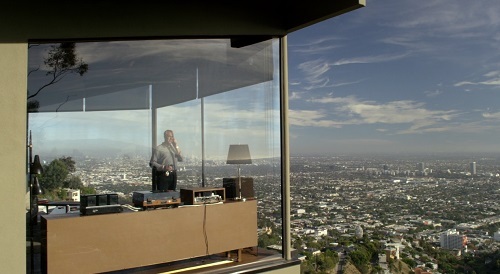 Local landmarks, like the recently reopened Angel’s Flight trolley, the City Hall and The Times building, are all given a fair share of screen time, but it is Bosch’s house, with its epic panoramic view from the living room, what we find to be the most arresting location in the series. The glass and steel design, the secluded hillside location, and the feeling of expansive space capture the essence of living in LA, an eloquent example of local residential architecture that echoes the beauty of our land. If views and glass windows are your thing, be sure to visit our Open Houses at 4121 Sea View in Mt. 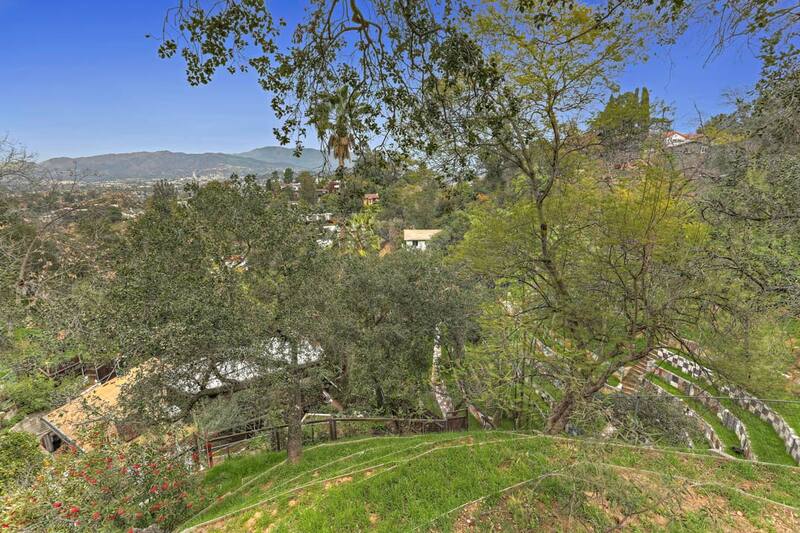 Washington and 739 N Ave 63 in Highland Park this weekend – both offer truly stunning views. An iconic film that tells the story of our most precious resource – the fresh water supply – and the struggle to control it by various enterprising LA residents. While not exactly historically accurate, Chinatown certainly captures the volatile spirit of the industrial ambitions that ruled the day in the early 20th century (though the film is actually set in 1930’s). Filled with cinematic visions from the city’s varied landscapes, Chinatown is an enduring classic that must be seen. One of our favorite moments? 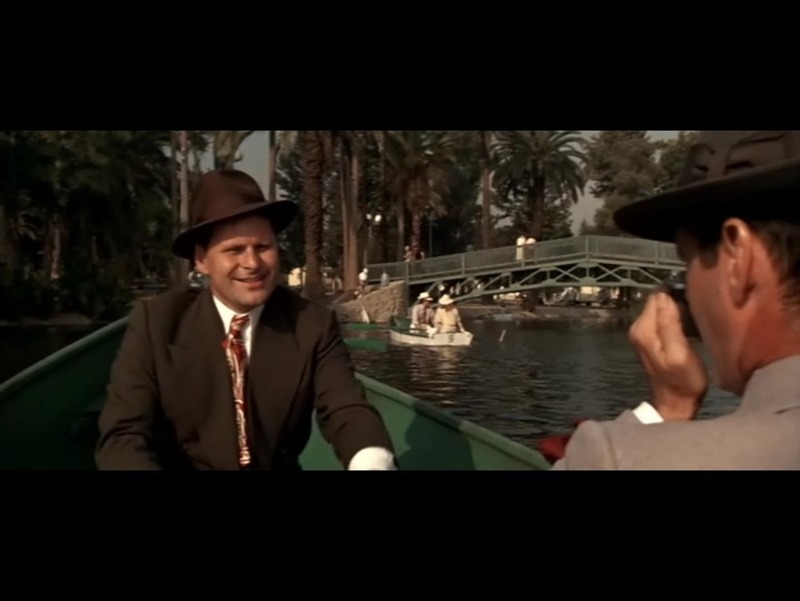 The scene on the Echo Park Lake lake, in which detective Jake (Jack Nicholson) pretends to photograph his associate, as a cover for photographing someone else entirely – all while boating. Revisit the scene (and ride a swan-shaped boat) after visiting our Open Houses in Echo Park this Sunday – 2118 Elsinore St. and 1964 Landa St. will be Open from 2-4P. Another essential LA film from the 1970’s, adapted from a novel by Raymond Chandler, The Long Good Bye was directed by the brilliant director Robert Altman. The story follows a private eye, Philip Marlowe (Elliott Gould), who is asked by his old buddy Terry Lennox (Jim Bouton) for a ride to Tijuana. He does as asked, but when he gets back to Los Angeles, Marlowe is greeted by police about the death of Terry’s wife. We don’t want to give away the plot twists, but lovers of Los Angeles architecture will no doubt enjoy the visions of 1970’s Westside and Malibu. 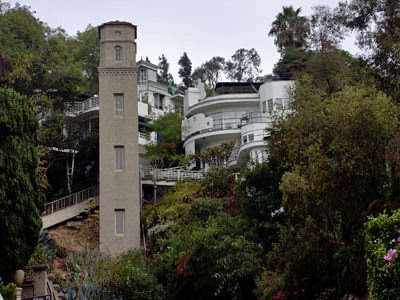 As for us, we were rather partial to Marlowe’s apartment, seen in the beginning of the film and located in the High Tower Court apartments in Hollywood Hills. Real estate is our favorite topic for conversation, so we were quite thrilled when KNX Radio invited us to weigh in on the state of the market. Our insightful team member, Ryan Judd, spoke to Charles Feldman and Mike Simpson of In Depth about the challenges that home-buyers face today, and gave some brilliant advice on how to navigate Los Angeles’ real estate market (hint – you need an experienced agent). Tune in below and get in touch if you have any questions – we’d love to hear from you! It’s hard to resist the allure of Silver Lake. Set in a gorgeous landscape, the shimmering expanse of its namesake reservoir surrounded by lush flora, this hilly neighborhood is dotted with architectural homes built by the likes of R.M. Schindler and Richard Neutra. 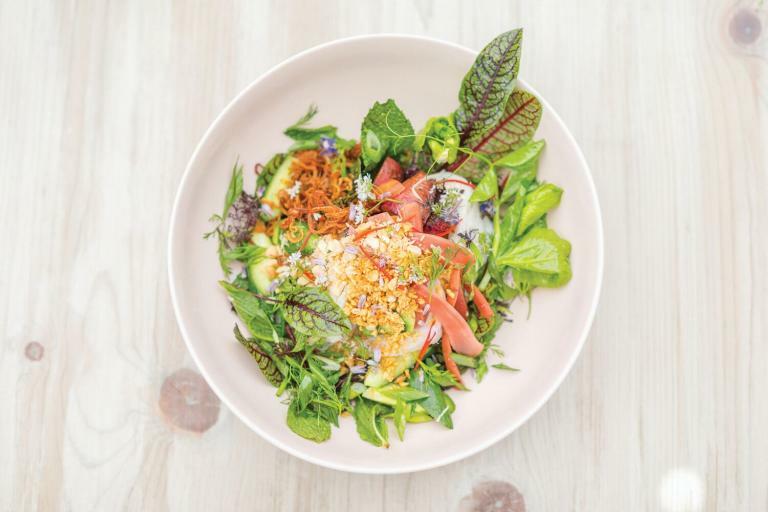 The thoroughfares of Silver Lake Boulevard and Virgil Ave are abrim with creative energy, offering all the stylish shopping and dining one can possibly wish for (who could say no to a breakfast meeting at Sqirl? And what’s a better spot than the Dream Collective to pick up a perfect gift made by a local artisan?). Did you know? Sunset Junction – where Sunset Boulevard meets Santa Monica Boulevard, and where you’ve likely gotten your morning coffee at Intelligentsia, is a hugely important location in the history of LGBTQ rights. It is there where the first documented demonstration for gay rights took place in the US. 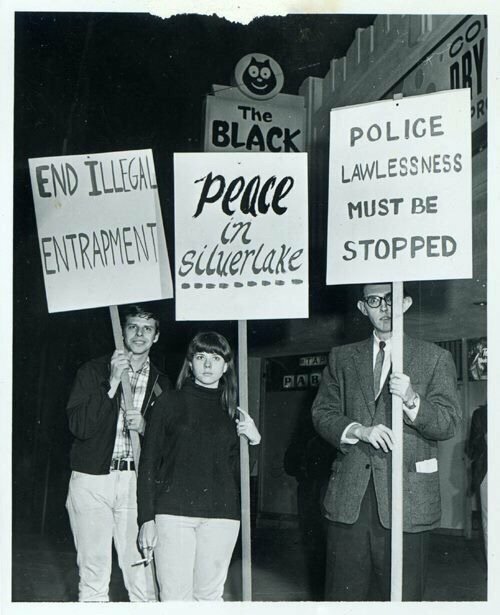 On your next night out, be sure to stop by The Black Cat – originally established in 1966, this atmospheric bar was the very site of one of the first demonstrations protesting police harassment of LGBT people. 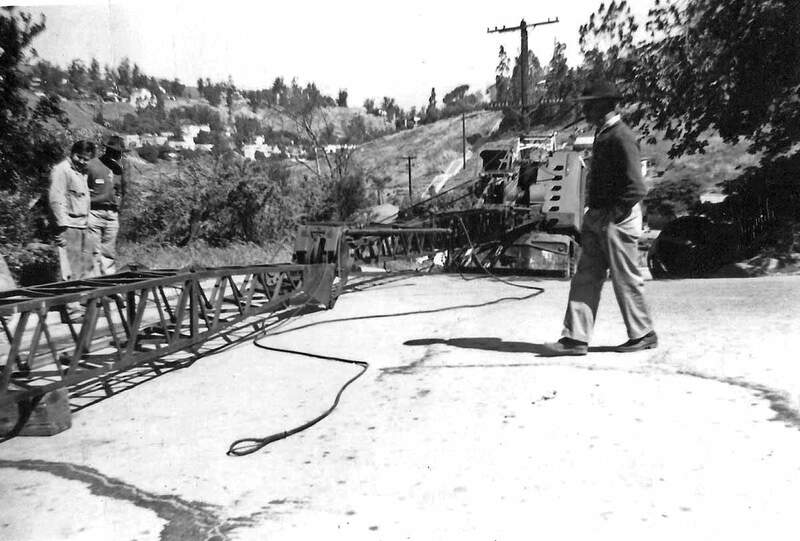 Fun fact: Silver Lake was once the geographic heart of moviemaking. In 1910’s, it was a part of a region called Edendale, which boasted the biggest film studios on the West Coast. In the 1920’s, a man Tom Mix, who was a popular star of early western films, built an elaborate frontier town set – replete with with a dusty main street, a saloon, sheriff’s Jail, bank, doctor’s office, and the simple frame houses typical of the early Western era – at what is now a corner of Silver Lake Blvd. and Glendale Blvd. The compound became known as Mixville and was in operation though 1930’s, setting the stage for many a western classic. In the same decade, Walt Disney had set up his first animation studio – right at the corner of Hyperion and Griffith Park, where Gelson’s Market stands today. Feel like to re-living the old Hollywood days? Step onto a steep staircase located at the intersection of Vendome, Del Monte, and Reno (also known as Del Monte Triangle) and experience one of the most iconic set pieces of the classic Hollywood era, as seen in the iconic film made by the comedic duo of Laurel and Hardy, the 1932 talkie “The Music Box”. In the 1920’s and 1930’s, Silver Lake became home to many Russian emigres that fled the Soviet Revolution of 1917. Amongst them was Maria Rasputin, the daughter of Grigori Rasputin, a notorious Russian mystic and the confidant of the last Russian Tzar. 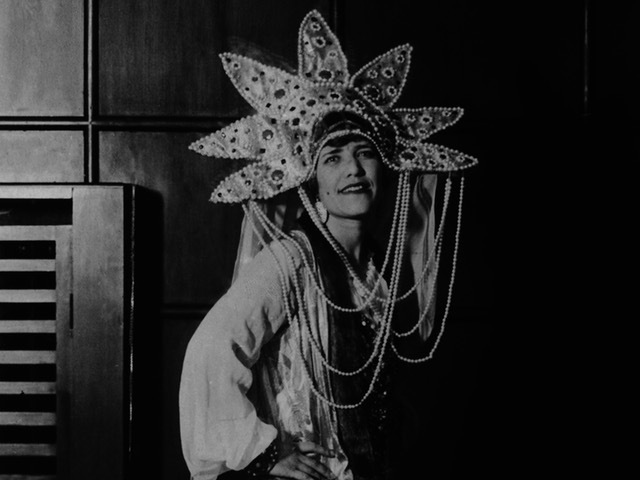 After the revolution, Maria had a turbulent life that saw her briefly sheltered by the imperial family before fleeing to Europe, where she began working as a dancer and a circus performer. 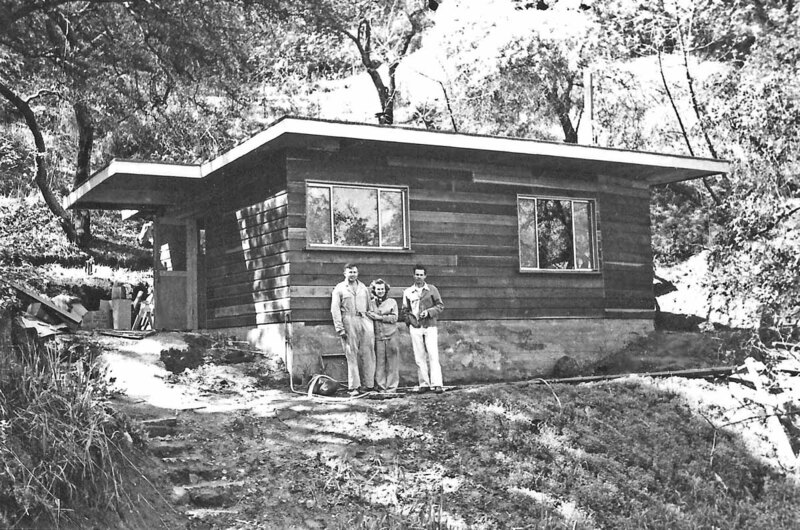 She came to United States as a lion tamer for the Ringling Bros., and was dramatically billed as “The Daughter of the Mad Monk” After being badly mauled by a bear, Maria left the circus, married and divorced an Angeleno, and eventually settled in quiet duplex located at 3458 Larissa Drive in Silver Lake, where she remained for the rest of her life. A marker of that time? The Holy Virgin Mary Russian Orthodox Cathedral of Silver Lake; established in 1923 by the members of the Russian Emigré community, its traditional Russian architecture of white walls and onion domes remains a rare vestige of that tumultuous era of political upheavals. Enamoured by Silver Lake’s charms? Stay tuned for a beautiful listing we have coming up in just a few days, and do get in touch should you have any real estate needs or questions – we’d love to help! Our team is strong with so many accomplished, talented and brilliant women of real estate, and all of us are overjoyed to celebrate the International Women Day, a date that honors women’s achievements across fields, disciplines and social spheres. 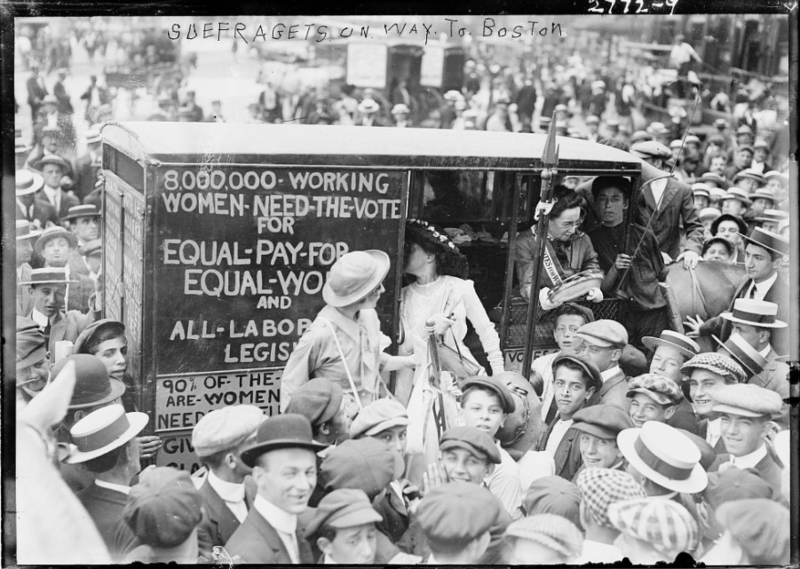 IWD was originally established in 1900 as part of the effort to promote equal rights and achieve universal suffrage, and is now observed by countries and nations across the globe. 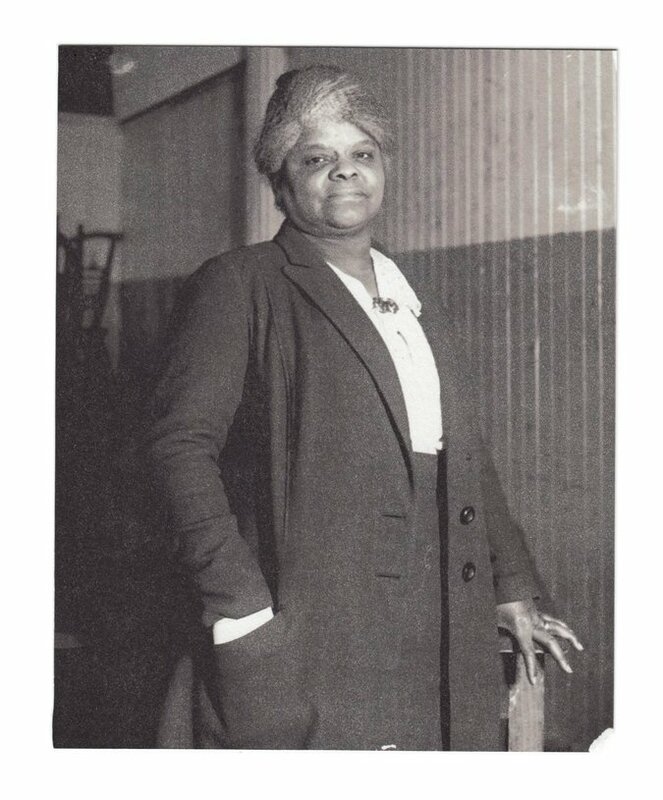 Reflect on the women that have been conspicuously absent from history, and that are honored in this timely story published in the NY Times. Entitled “Overlooked”, this project commemorates remarkable women that were not given their due in their lifetimes. Visit Silver Lake to stop by the delightful Botanica – home to a charming market and a great restaurant, to partake in their day long International Women’s Day soirée. A menu of special recipes from a few of their favorite female chefs and cookbook authors will be available — the likes of Gabrielle Hamilton, Ana Sortun, Alice Waters and Claudia Roden. There will also be a flower shop pop-up from Whit Hazen (11am-3pm), a pop-up ceramics shop from D Ceramics (11am-3pm), and a tasting of women-made wines and a glass of your favorite—at $25 for a flight of five or six (5:30-7pm), plus a free yoga classes from Love Yoga, with a portion of proceeds from the day benefiting a local women’s charity. Find the festivities at 1620 Silver Lake Blvd., more info here.